You can lecture all you want on the dangers of comparing films, even films by the same director, but the fact remains that we will; we really can't help ourselves. 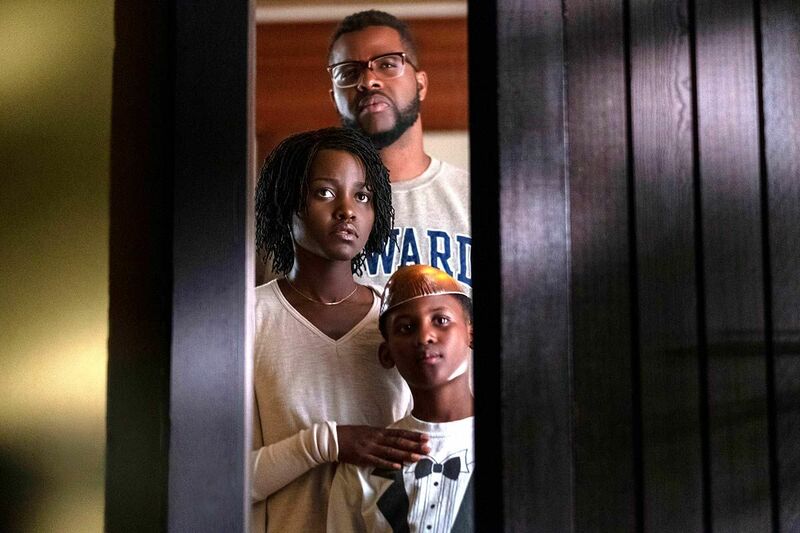 Jordan Peele's smash success Get Out put him on the horror map, but it also set a standard for the rest of his filmography, and that's not his or our fault, it's simple fact. That doesn't mean that none of his future movies can be good if they aren't as good as his debut, but it does mean that audience will always and naturally compare anything he does in a similar genre to the one that shockingly impressed. I don't understand how fans of Us can be angry that critics of the film comment that it isn't as good as Peele's breakout; it's literally the only other film in his repertoire. Of course it should be judged independently as much as possible, but only so much is possible, because we're human, and because his second serving of terror isn't anywhere near as good as his opening course. When she was a girl, Adelaide wandered off from her parents at a carnival in California, where she experienced something that changed her life. Many years later, now a mother and a wife, Adelaide's family takes a vacation to the same beach she was traumatized by as a child, the result as upsetting for her as you might imagine. That night, already disturbed by memories and convinced that the danger she's been running from all her life has finally caught up with her, Adelaide and her family are visited by four people who look exactly like them, who appear outside, break in, and take the family hostage. What they want is as confusing as it is violent, and nothing will ever be the same from this dark evening on, as the past has come back to show its face, and this time it won't be shut behind the door. First of all, the amazing quality of Get Out should never be used to criticize the talent of Jordan Peele; that would make absolutely no sense. That film will always stand alone as something spectacular and relevant, no matter what this exciting director chooses to do next. But just because he succeeded once doesn't mean he'll succeed every time after, and it's OK to say that his first movie was phenomenal while he second was anything but. As his filmography grows, perhaps we'll compare his features less, but I stand by the assertion that it's not our fault for noticing steps away from what worked for him the first time, or acknowledging that he's done better; it's simply that he's only done it one other time. Us would be flawed were it his second picture or his thirty-second; it's just too obvious that this time around isn't a masterpiece, when his debut could be considered just that. A movie doesn't need to be a masterpiece to be enjoyable, I understand that, and there were definitely parts of Us that I enjoyed. Winston Duke was incredible, both comedically and as a natural actor, someone who always felt at ease in what he was doing. And there were certainly moments in which I was fully engrossed, totally absorbed in the world Peele had created. But there were far more negatives than positives, and I'm shocked that more critics don't see them. 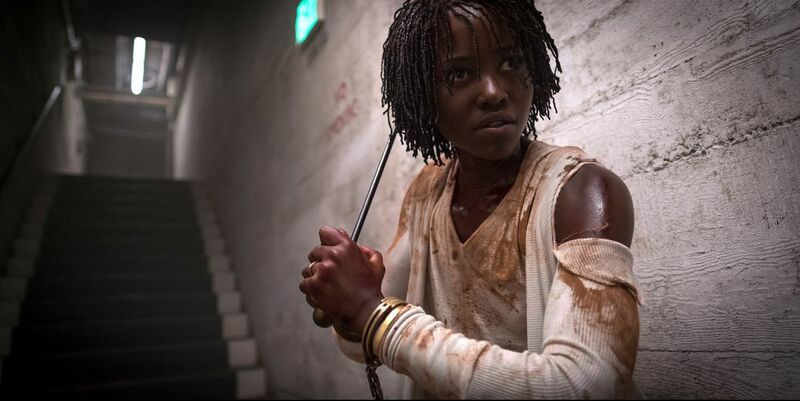 Lupita Nyong'o was poor twice over, and her voice as the scary doppelganger was both pretty distracting and fairly stupid. The girls who played Emma on Friends popped by; we may never really know why that happened. And honestly, apart from the beginning, there is nothing scary about this movie at all. This isn't a spoiler, because there aren't any zombies, but it felt like a zombie b-movie much of the time, which was odd, because I was looking forward to something far more intellectual and meaningful, like we got with Get Out. Fans will claim that there are tons of deeper messages, and I spent a lot of time imagining how that could very well be possible, but it became a job, and then a stretch, to really dig up metaphors. It's obvious that Peele is a horror fan, he knows how to add in classic elements and homages to others that came before, but this attempt isn't as strong as his first, and it's bizarre that so many think otherwise.